The Peregrine Match is a cost effective and solid alternative for Peregrine Bullets’ PlainsMaster hunting/expanding bullet. The Peregrine Match (VRG5) does not expand and is therefore less expensive to manufacture. The Peregrine Match (VRG5) behaves exactly like the Peregrine PlainsMaster (VRG4) when seated to equal depth into the brass case, which reduces the cost of load development and practice shooting. Peregrine Match reloading bullets are extremely accurate and user friendly bullets for production rifles as well as specialist competition rifles. It is also quite easy to find a good and accurate load. 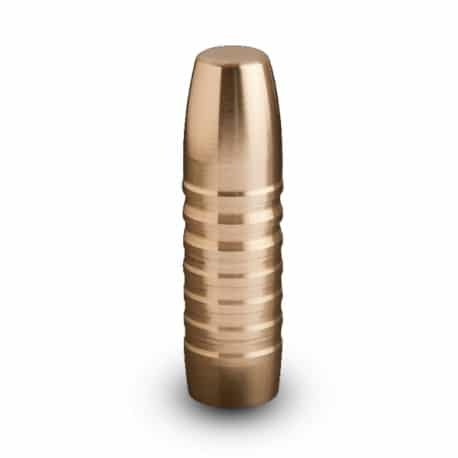 Many serious competition shooters prefer to use this precision manufactured bullet. Peregrine Match reloading bullets have a flat trajectory over the short to medium range (up to 650 yards) with pin point accuracy and an excellent ballistic coefficient. It is advised that shooters/hunters changing over from lead-core/jacketed bullets enter the lead-free market with the Peregrine Match (VRG5) bullet. 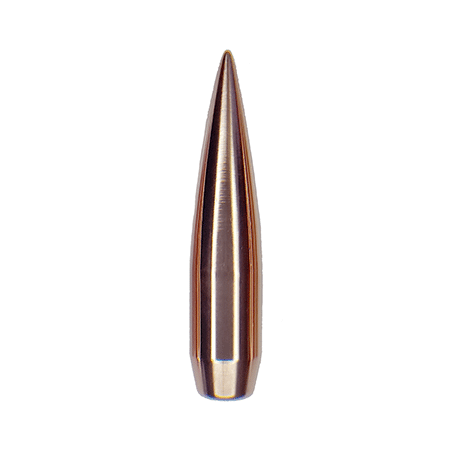 The Peregrine Match bullet is ideal for shooters/hunters who wants to gain a feel for developing loads for copper mono-metal bullets in an affordable way. 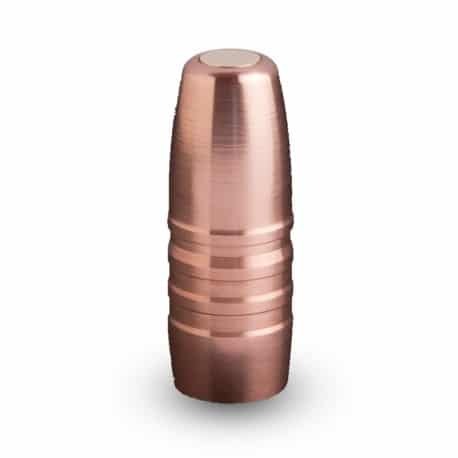 Load development with the Peregrine Match (VRG5) will be necessary due to the lower shot start pressure (approximately minus 20%) of Peregrine Bullets over conventional bullets. In most cases the bullet will start to shoot accurately with similar muzzle velocities to an equivalent lead core bullet. Due to the lower shot start pressure, less barrel wear can be expected and less throat erosion. The Peregrine Match maintains a flat trajectory and offers an excellent ballistic coefficient (BC). In comparison to lead bullets, the Peregrine Match performs at an increased velocity with lower recoil, reduced pressure and less barrel wear for most rifles. 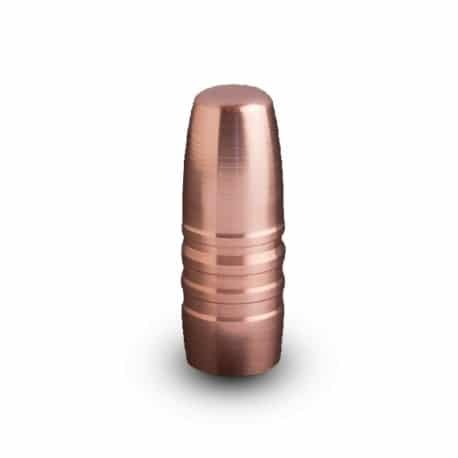 Barrel life is enhanced by the softer copper material properties of the bullet. 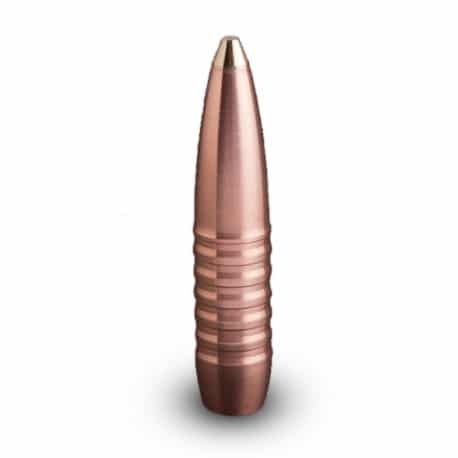 This bullet is ideal for beginners as well as more experienced reloading enthusiasts. The Peregrine Match provides an ideal, cost-effective option for paper/competition shooting.